Giant Robot, Mark Todd and Esther Pearl Watson present “Post-It Ten” on Saturday, Dec. 6, starting at 4 p.m. at GR2, 2062 Sawtelle Blvd., Los Angeles. “Post-It” is a curated event featuring 330 artists and 2,500+ Post-It note art pieces. 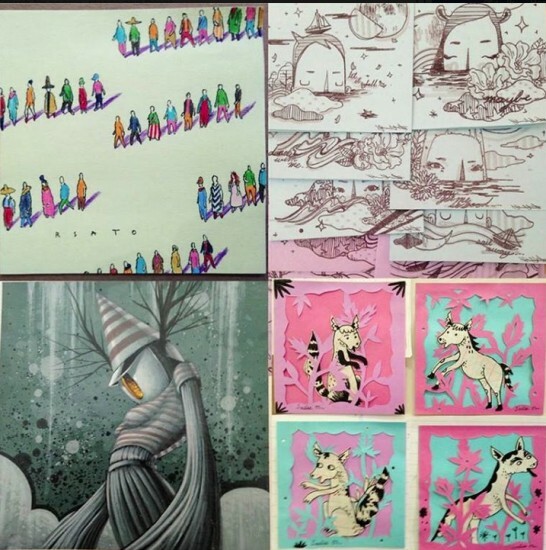 Participating artists have included Audrey Kawasaki, James Jean, Gary Baseman, Nathan Ota, Rob Sato, Souther Salazar, Kent Williams, Mark Todd, Esther Pearl Watson, Yoskay Yamamoto, Luke Chueh, Katsuya Terada, Mari Inukai, Wayne Johnson, and many others. All pieces are $25. Pieces will not be presold; purchasers must be present. For more information, call (310) 445-9276 or visit http://gr2.net/.